We all have bookcases full of our favorite books…but have we read the books that are the most influential, insightful, witty and notable?In 1,000 Books To Read Before You Die, veteran bookseller James Mustich helps answer the question – what to read next! Fourteen years in the making…this masterful literary guide provides over 900 pages of notable books, including classic novels, beloved mysteries, children’s books, poetry, memoirs, acclaimed contemporary fiction, seminal works of cultural criticism, and much more. The authors of the included books are diverse and span ethnicity, gender, race, and sexual orientation; they run the gamut from Javier Marías to Haruki Murakami to Colson Whitehead to Claudia Rankine to Jhumpa Lahiri. The list is not, as Mustich insists in his introduction, a canon or a prescriptive list. Rather, it’s an invitation to explore. It’s like walking into a dream bookstore where every title is intriguing and rewarding! This is the fifth in the phenomenally successful 1,000…Before You Die® series, which has over 4.4 million copies in print, this compelling compendium of a thousand noteworthy books to get lost in is essential reading for every book lover. Readers will never again have to wonder “what to read next.” This masterful literary guide provides over 900 pages of notable books, including classic novels, beloved mysteries, children’s books, poetry, memoirs, acclaimed contemporary fiction, seminal works of cultural criticism, and much more. The authors of the included books are diverse and span ethnicity, gender, race, and sexual orientation; they run the gamut from Javier Marías to Haruki Murakami to Colson Whitehead to Claudia Rankine to Jhumpa Lahiri. The list isnot, as Mustich insists in his introduction, a canon or a prescriptive list. Rather, it’s an invitation to explore. It’s like walking into a dream bookstore where every title is intriguing and rewarding. 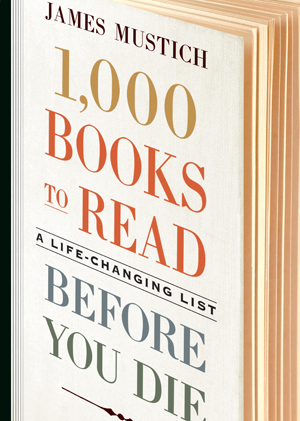 1,000 BOOKS TO READ BEFORE YOU DIE is as compulsively readable, entertaining, surprising, and enlightening as the thousand books it recommends, and it celebrates something every reader loves—the joy of discovery. Organized A–Z by author, the selection takes the reader on a rollercoaster of entries: For example, Flora Thompson’s Lark Rise to Candleford is followed by Hunters S. Thompson’s Fear and Loathing in Las Vegas and then by the children’s favorite, Eloise. The result is an unexpectedly revealing juxtaposition of literature. The book’s beautifully designed pages are enlivened throughout with extensive illustrations, including beautiful covers, author photos, and illustrations. Brief, yet informed and thought-provoking essays accompany each title, giving the reader a sense of the work’s historical and literary context and the reason why the book is on the list. Entries also include a bevy of information: bibliographic details, related reading, editions and translations, adaptations, and more—in addition to the main 1,000 titles, the book references over 5,000 additional titles and 2,500 authors. These lists of 12 books each are like a conversation with a passionate bookseller eager to point reader to their next great read. There is even a handy checklist at the back so ambitious readers can track their progress. 1,000 Books To Read Before You Die is an extensive, intelligent, lively library in which readers of all ages will find booksto add to their personal collections and to-be-read piles. It is a gift book in a class by itself offering concise, critical insights into the books and their authors. A veritable treasure trove, it brings reading back to the center of our cultural conversation. ABOUT THE AUTHOR – James Mustich began his career in bookselling at an independent bookstore in Briarcliff Manor, New York, in the early 1980s. 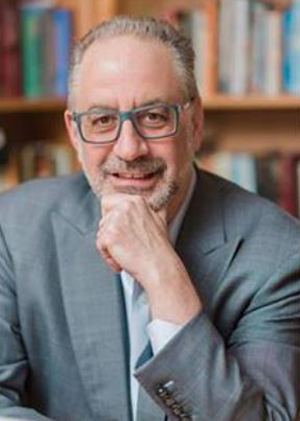 In 1986, he co-founded the acclaimed book catalog, A Common Reader, and was its guiding force for two decades. He has subsequently worked as an editorial and product development executive in the publishing industry. He lives with his wife, Margot, in Connecticut.